The twixit! 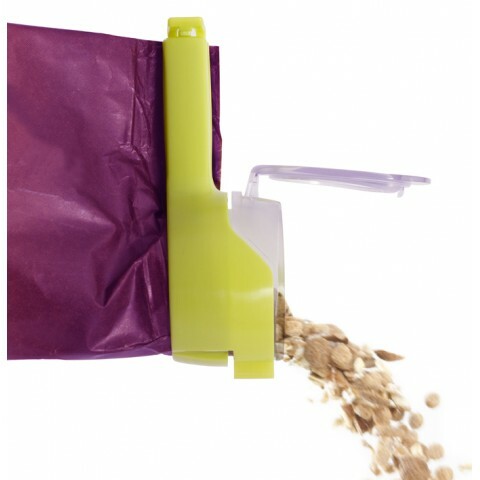 Seal & Pour bag clip features a handy pour spout with lid that makes pouring and resealing from a bag easy and quick. It is designed to tightly close and keep bagged contents fresh for months. 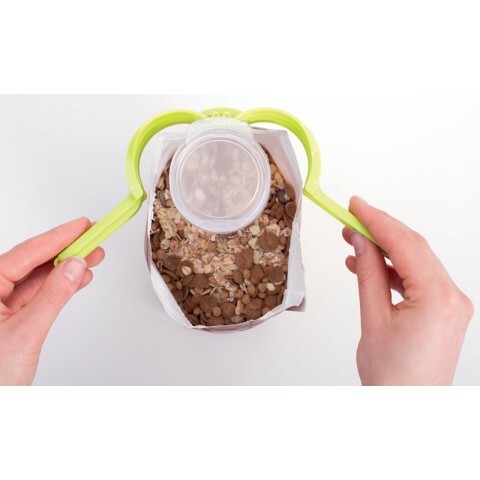 Ideal for bagged coffee, cereal, rice, popcorn, flour, sugar, flax seed, or any food that pours from a bag. Works on a plastic or paper bag. No more fussing with twist-ties. 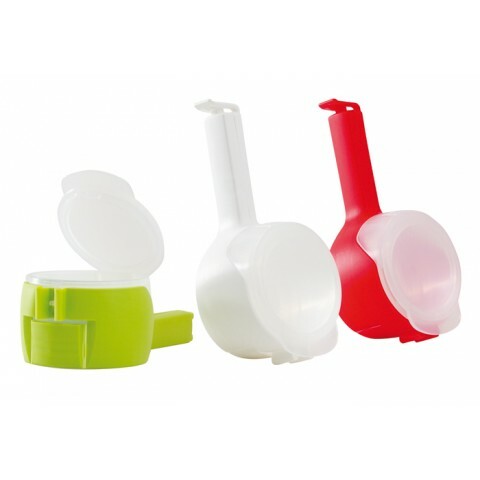 Reusable for years, these clips have a memory if they loose their shape just place in boiling water for a minute and they will return to their original shape.